Candidates are required to apply online after ensuring eligibility conditions. Payment through scratch card: Scratch Card can be obtained from PDM Campus. Cash Payment at PDM: The candidate has to pay the fee at the time of physical counselling, he/she will be provided with a scratch card and an information brochure.  PDM will send intimation about the counseling / admission schedule on the candidates email address and registered mobile no.